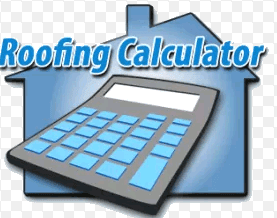 The cost estimate or quote of the roofing plays an important role in deciding which roofing contractor will be hired. Homeowners often opt for the lowest quote. What may appear a very cost-effective decision might prove to be costly in the long run. If the quote is exorbitantly low, it should raise an alarm bell. It is very likely that the contractor will use shortcuts to keep the costs low. It could be in the form of substandard material, inexperienced labor or lack of license and insurance. This could hamper the quality of the roof and also cause damage in the adjoining areas of your house. Choosing the company to provide roofing services in San Antonio will require some understanding of the quote. To undertake roofing work the roofer would need to know the exact measurement of the roof area. The square footage area is divided by 100, which gives the roofing square to be roofed. Even the roofing materials are sold by roofing square and not the square foot. Roofing slope is another important factor for ascertaining roofing costs. A very steep roof would require more labor and safety measures complete the roof. The roof slope also plays an important role in determining the underlayment system for fire rating. Removing the old roof is a labor-intensive Roofing contractors in San Antonio will consider the roofing material, the number of layers and then ascertain the labor and debris disposal costs. Your choice of roofing materials will depend upon aesthetics, durability and longevity. Based on the materials the cost estimate will also differ. Modified bitumen roofing is low maintenance and can last up to 20 years. Asphalt roofing, on the other hand, can last up to 25 years and is economical. Metal roofing is tough and can prove to be a stable companion to your home for even 50 years. Over and above roofing materials, there are other associated costs. The roofing components like underlayment, decking materials, ventilation, insulation and fasteners would differ in their quality, performance and also price. Another addition to the costs would be the cost of giving the roof an aesthetic look. When it comes down to actually doing the roofing work, it’s the access to the roof that plays a key role. If access to the roof is not easy, it will involve additional equipment, labor and safety equipment. These costs can be reduced where a clear and safe access to the roof is possible. The type of warranty and duration offered will differ from once roofing company to the other. Some companies may ask you to pay an additional fee to secure an extended warranty, while some other may include the cost of warranty in the cost estimate. Compare the warranty terms and choose wisely.